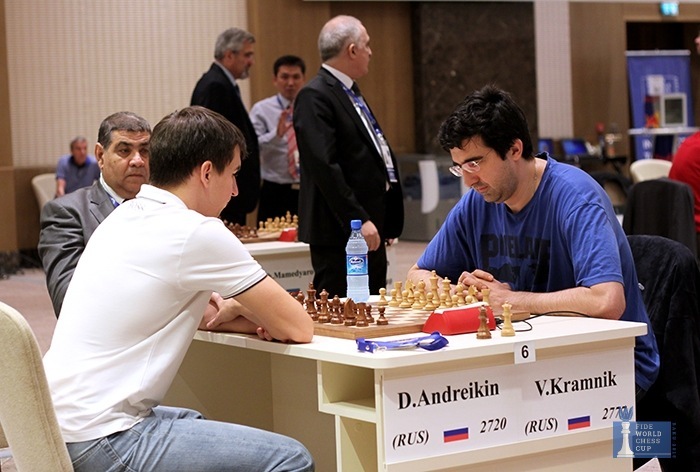 Andreikin: "I mainly work on chess alone"
Dmitry, you were successful in many junior tournaments. 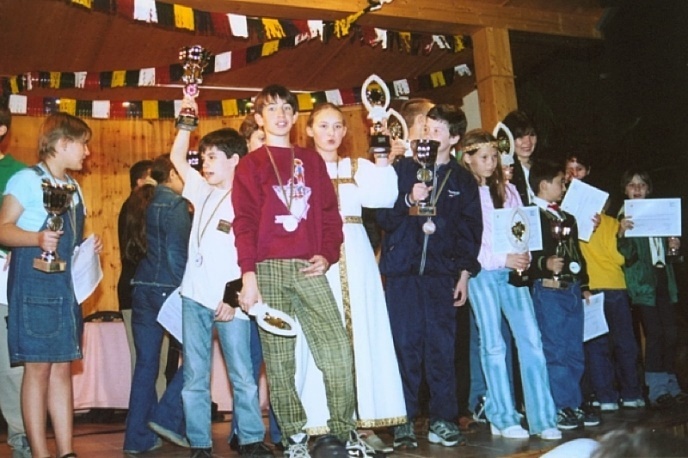 For example, in 2001 you won the Russian Junior Championship. Was it easy to become Russian Champion when you weren’t yet 14 and, it would seem, childhood wasn’t yet over and you could still play and fool around? Is there any threshold you crossed after moving into adult chess? Did anything change in your life? Perhaps you changed your opening repertoire, your tournament schedule or so on. I think in terms of quality my transition to adult chess took place after I moved to Saratov in 2007. Enrolling in SSSEU (Saratov State Socio-Economic University), I started to play for the university team in the Russian Team Championship. We had two men’s teams: the main one and the reserves, but both played in the Premier League. I could play on the last boards of the main team, but I preferred to play on the first board of the weaker group. 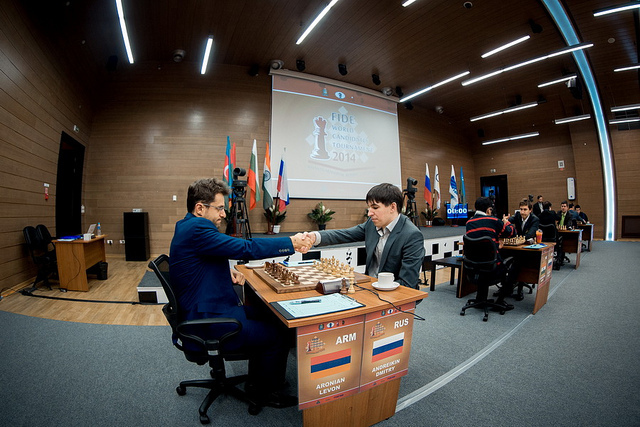 The tournament was a round robin, and thanks to my high board number I managed to play against Shirov, Morozevich, Karpov, Ivanchuk, Rublevsky and some other strong grandmasters. Against that line-up I scored 50% - I was satisfied both with the result and the experience. Well, and a huge role in my choosing to become a professional chess player was played by winning the World Junior Championship. I immediately got invitations to a few strong round-robins and life became livelier. I’d like to use this opportunity to express my thanks to Alexey Vetrov – our chess tutor in those years. The university created excellent conditions for chess players, which undoubtedly had a positive influence on my chess development. Now, unfortunately, the university management has changed and the interest in chess has gone. I can’t say that I’ve really changed my style or opening repertoire in recent years. Perhaps I’ve begun to take a more responsible attitude towards my tournament appearances. Dmitry, after the Candidates Tournament in Khanty-Mansiysk in 2014 you entered the Top 30. Is that your greatest achievement or did you ever manage to get higher on the rating list? How do you need to improve to become an elite chess player? Can you tell us how you prepare for tournaments? I mainly work on chess alone – at home with the computer. I hold training sessions in Ryazan only before important events. The last time I got together with some guys was before the World Cup in 2015. We worked extremely well and prepared a few new ideas. In the very first game I surprised the Chinese grandmaster Jianchao Zhou by going for the most complex Najdorf variation, which I’d never played before. Thanks to opening preparation I managed to beat an awkward opponent, who until that point I had a 0-2 score against. In the 3rd round, thanks to a fresh idea with the move 6.Qe2 in the Scotch, I managed to beat Vladimir Kramnik. Of course after such training sessions you feel much more confident at a tournament. This year a few training events are planned for members of the Russian team. Is it tough to get into the Russian team, and what criteria are the main ones for establishing the team line-up? I’d say at this moment in time for players of my level to get into the team depends on the willingness or unwillingness of higher-rated compatriots to take part in this or that team event. So the most reliable approach is to improve my play and increase my rating. We don’t have any prescribed system for determining the team, so the final line-up is chosen by the coaching team. If all the responsibility for the outcome falls on the head coach then I think that’s normal. Dmitry, could you name the chess players who are your seconds before important events? I’d rather not show my cards in advance. Of course every scalp of a top player is pleasant in itself. In sporting terms my most important wins came against Topalov and Aronian in the 2014 Candidates Tournament. I started badly and, with 2 points out of 6, I met Topalov. That win allowed me to end the first round on a high and boosted my optimism. Beating Aronian in the penultimate round was a little unusual for me. Normally I simply aim to play according to the position, but here, taking a look at the standings, I saw that a draw gave me almost nothing, while a win could improve my tournament position by 3-4 places, and I told myself: “I’m going to go and win in the style of Kasparov”. And, strangely enough, I managed. As a result I shared 3rd place. That outcome was aided by Vishy Anand. A year earlier, in the 2013 Tal Memorial, I’d played our game very well, but at some point I let the advantage slip and got a theoretically drawn endgame with an extra pawn. In principle it was possible to keep playing it for quite a long time, but out of respect for my opponent I agreed to a draw, and after the game I regretted that a bit. A year later – at the much more important Candidates Tournament – in the first round of games Anand didn’t look for winning chances in a pleasant ending, while in the second game he actually took a draw in quite a complex but still won position. World Champion Magnus Carlsen once described you as potentially his most dangerous opponent. What’s the score in your direct encounters with Carlsen? Can you list the strong and weak points in the Norwegian’s play? It’s hard to comment on his words – if that was said at all then it was a very long time ago. In “classical” we’ve got an even score, though at a “conscious” age we’ve only played one game – in the 2013 Tal Memorial mentioned above. Back then the game ended in a draw without any particular adventures. In blitz there was more of a struggle, though, with me losing our last game in the 2015 World Championship in crushing style. Of course Magnus is now chess player no. 1 by a large margin. I’m not going to be original: the guy has all the necessary qualities to be an ideal sportsman/chess player. People who have more experience playing Carlsen and know him better can talk about his weak sides. In February 2016 you won a rapid tournament in Serpukhov and in September 2015 you came second in the Moscow Blitz Championship. Can we say that your best results recently have been in events with faster time controls? I think my strength should be indicated by tournaments of a higher rank. I can recall the 2012 World Blitz Championship in Kazakhstan, where all the best played, including Magnus. I put up a real fight for a medal and beat Carlsen 1.5-0.5, but a few painful defeats at the end knocked me down to 5th place. My blitz rating back then was 2877, which even by current standards would be 3rd on the rating list. Now, it seems to me, I play significantly worse in rapid time controls than 3-4 years ago. I don’t know what’s behind that – probably age. In “classical” I feel as though I’m slowly but surely improving. To sum up, at the moment I play mediocre chess at any time control. 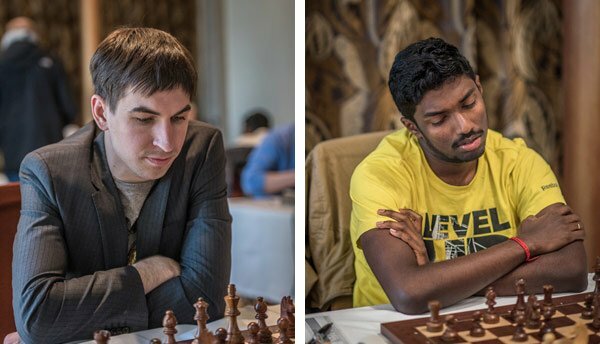 Dmitry, the Candidates Tournament has started in Moscow and many experts have had trouble naming favourites. Who, in your view, will be the first among equals and earn the right to play a match against Carlsen? Who will you personally root for? I like each of the Candidates in some way. It really is a very balanced and interesting tournament. For the fight for first place there are, in my view, a few people who, for one reason or another, have better chances. By that I mean anyone taking part can score, say, +2, in the tournament, but when it comes to qualifying for a World Championship match I think Caruana has the best chances, since, perhaps, he has fewer awkward opponents at the tournament than the rest, plus he has the chess strength. You can say the same about Nakamura, but the crushing score in his head-to-head encounters with Carlsen may affect him at a subconscious level. Of course that’s my subjective opinion – time will tell. In any case, I’ll follow the tournament closely and root for beautiful play. Have you already got a tournament schedule until the end of the year? Are you playing for any teams? Spring promises to be pretty full this year. 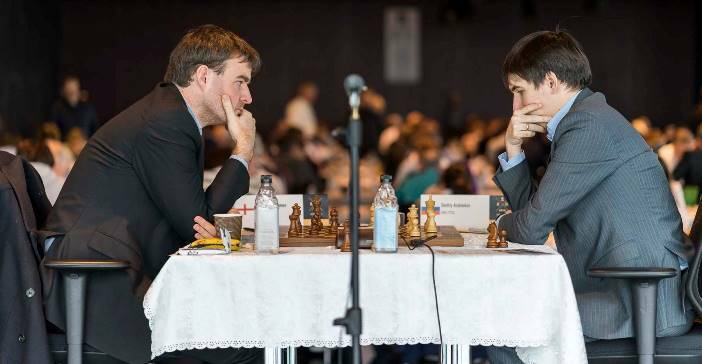 A couple of Scandinavian Opens – tournaments in Reykjavik and Stockholm, stages of the Russian Cup rapid chess tournament in Suzdal and Cheboksary. At some point between them there should be a training camp in Moscow. Perhaps I’ll dare to go to Kosovo for the European Championship in May. Overall, there are plenty of tournaments if I’ve got the urge to play. For a few years now I’ve been playing for the Macedonian club Alkaloid – both in the national league and at the European Club Cup. Dmitry, will chess ever become a popular sport, and what do chess players, organisers, officials and sponsors need to do for that? I think chess is currently quite a popular sport, particularly for an internet audience, but nevertheless it will never reach the level of football, hockey or basketball. In my view there are two main reasons: firstly, chess isn’t a spectator sport and unfortunately it’s hard to do anything about that. The faster time control won’t help – watching rapid hand movements in any kind of combat sport will still be more interesting. The second point is the complexity of the rules of play. In many sports an interested fan can quickly feel a pseudo-expert. I can use myself as an example: I really love to put on an intelligent face when talking about football tactics, transfers, substitutions and so on. That false understanding attracts people, of course. In order to grasp even a little about chess you need to spend much more time and energy. 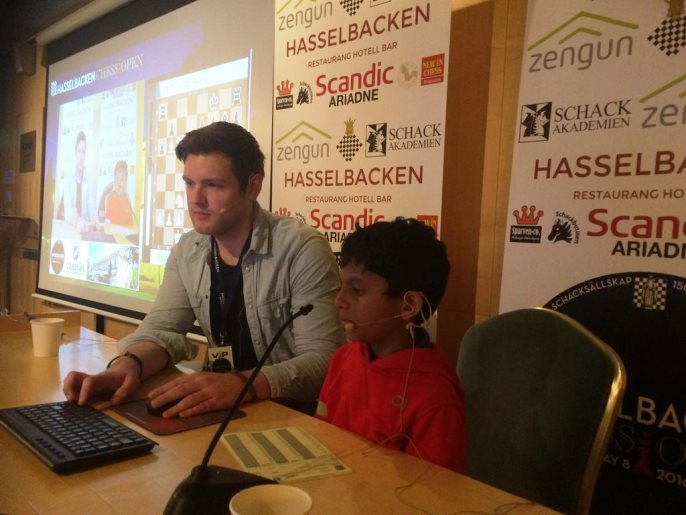 What should be done to popularise chess? I don’t know – it’s a question for professionals. A lot of very active work is in fact going on in that area nowadays. Does a chess intellect help out in other areas of life? I know you recently renovated your flat, and that’s a lot of hassle. Did you end up mentally calculating where you need to stick, or remove or hammer or paint something? In my view chess is a very specific game – it forces you to think with your head and keep your mind in good shape, but it has nothing whatsoever to do with either general intelligence or mathematics. A coaching friend from the Saratov Chess Academy recently ran a competition to find the best use of chess thinking in some specific life situation. At first I replied that I’d think about it for a few days and respond, but then I realised I don’t think about life in chess terms. In life everything is more complex than on the 64 squares. The organiser of the competition later wrote that very few people were able to recall some situation from their life. As for the repairs, we were very lucky with the man in charge, and my wife took care of the design. My job was reduced to a minimum: paying for all that beauty, but that’s another story. 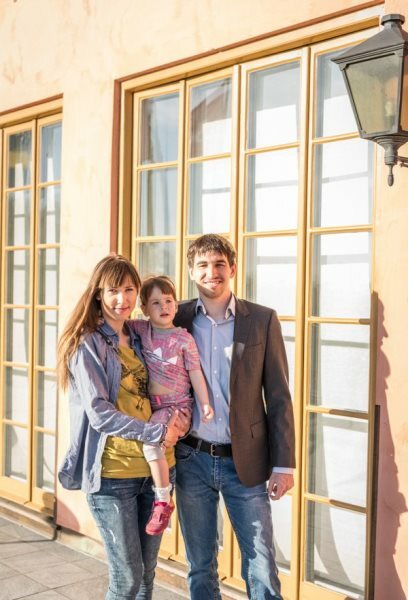 In a recent interview with Chess Boulevard Sergey Karjakin rated Crimea becoming part of Russia positively. Do you follow politics, and in particular what’s going on in Syria and Ukraine? Is a family the main support in life for many professional sportsmen? Why, by modern standards, did you decide to end your bachelor life and become a model family man and father? Thanks for the kind words, though I’m a very long way away from being a model family man and father. I’ll use the words of a song: “I promise to become purer and better”. As for the relatively early marriage - it was love’s doing. Moreover, getting married at 21 perhaps isn’t all that early. In any case, it’s important to marry for a long time, ideally forever, while age doesn’t matter. Of course the constant support of family and friends is very important for a sportsman. It’s always pleasant to return from tough events to your family nest and those you love. Have you felt any negative consequences from the crisis in Russia? Perhaps you could give a couple of tips to young people who now don’t feel confident in the future? I don’t like to complain about life, but of course the crisis has had a negative impact on the existence of ordinary Russians, without exception. For example, we did renovations in 2014-15, and it cost us a few times more than if we’d done them a few years earlier. We had to wait several months for particular kinds of imported building materials. Again for me, as a car fanatic, it’s terrible at times to look at the updated price lists. It’s become exactly twice as expensive to go on holiday abroad – for obvious reasons. For us chess players it’s not all so clear-cut, because after all part of our earnings is in foreign currency, but for those in the public sector it’s become much tougher. I can’t give any advice on that topic. Firstly, I’m too weak in financial matters, but secondly, I think that being absolutely confident in the future is a very naïve undertaking. I can only wish youngsters that they can do what they really enjoy.